Missouri Wrestling Revival is honored to recognize Savanna Stone as the 2017 Missouri Wrestling Revival Female Wrestler of the Year. In her first year inside the professional wrestling ring, Savanna Stone has gone from nervous rookie hoping that professional wrestling promotions around the country would invite her to compete in their promotions to strong, confident woman that is one of the fastest-rising female professional wrestlers in the United States. Seeing World Wrestling Entertainment’s Nikki Bella compete inside the squared circle gave Savanna Stone all the motivation she needed to choose a career in professional wrestling. 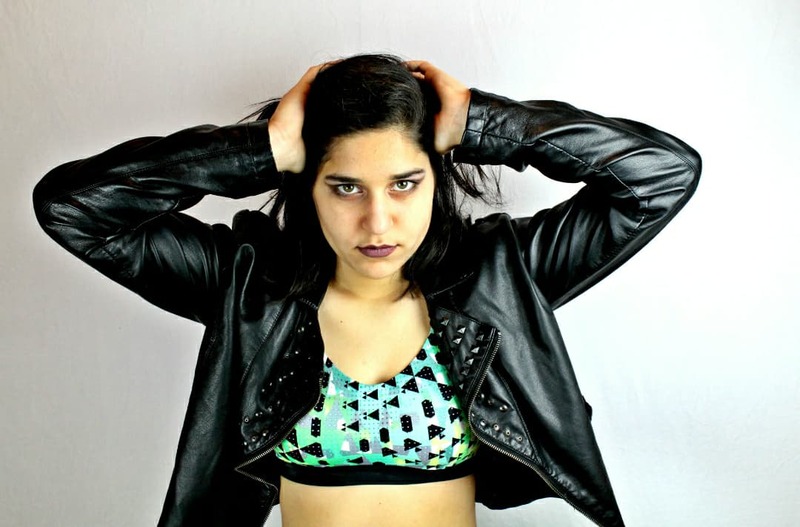 As a sixteen-year old, Savanna Stone was one of the youngest wrestlers to train under the guidance of the trainers at the Dynamo Pro Wrestling Dojo and “Unbreakable” Michael Elgin. Being athletic as a youngster gave Savanna a glimpse regarding the hard work, athleticism, and dedication that would be needed to compete inside the professional wrestling ring. When asked about Savanna Stone, Dynamo Pro Wrestling promoter Jim Yount said “From the very beginning, Savanna has shown that she has the heart, desire, and drive to go as far as she wants to in the world of professional wrestling”. From the beginning of her training, Savanna Stone has developed a storied rivalry against Rahne Victoria. These two competitors have already had many battles in promotions throughout the Midwest. In addition to her matches with Rahne Victoria, Savanna Stone has competed against some of the best female professional wrestlers in the United States, including Tootie Lynn Ramsey, Allie Kat, Kylie Ray, Sierra, Carolina Grizelda Esmeralda Rodriguez, Randi West, Miss Monica, Angelus Layne, Laynie Luck, Mia Yim, and Marti Belle. Savanna Stone has consistently impressed professional wrestling fans and promoters alike. At Proving Ground Pro, commentator/co-owner Brady Lawrence has stated on many occasions that “Savanna Stone is a natural. She has the single most important quality in professional wrestling and that is that she is genuinely fun to watch inside the ring. Her talent, charisma, and natural ability are off the charts. Savanna Stone is a young woman who is athletic, determined, and committed to professional wrestling. Capturing these qualities at such an early age gives her a virtually unlimited ceiling in the world of professional wrestling”. In 2017, Savanna Stone competed in many professional wrestling promotions, including Wrestling Over Everything, Proving Ground Pro, the National Wrasslin’ League, Zero1 USA, Glory Pro Wrestling, and Dynamo Pro Wrestling. Many professional wrestling fans have quickly joined the “Stone Nation”. When people talk about Savanna Stone, they are quick to point out that Savanna Stone is the future of women’s professional wrestling. “I recently had the pleasure of interviewing Savanna Stone on the Wrestle Talk Podcast” said Rene Martinez, host of the Wrestle Talk Podcast. “and I can say with great confidence that the sky’s the limit for Savanna Stone. This young professional athlete’s fun-loving, genuine attitude is infectious to say the very least. As host of the Wrestle Talk Podcast, I’m truly looking forward to speaking with Savanna Stone in the future as her career continues to evolve and grow. Simply put, Savanna Stone is someone you want to watch before she makes to a major professional wrestling promotion”. As the year 2017 drew to a conclusion, 2018 looks to be proof that Savanna Stone has definitely made a claim to being the future of women’s professional wrestling. In addition to winning the Zero1 USA Women’s championship, Savanna Stone also competed against Nia Jax on WWE’s Monday Night Raw program on Monday, February 5th. Savanna Stone is slated to face LuFisto at Glory Pro Wrestling’s One Year Anniversary on February 18th has been signed to take part in the Making Towns Classic tournament on May 12th, 2018 in Nashville, Tennesse. This tournament will feature such competitors as Delilah Doom, Hudson Envy, Aja Perera, Isla Dawn, Jordynne Grace, Veda Scott, Samantha Heights, and Su Yung. As professional wrestling fans around the country are quickly learning, “You Can’t Break Stone”. Congratulations to Savanna Stone, the 2017 Missouri Wrestling Revival Female Wrestler of the Year.